NOW/ action: Oroki - Boundaries. 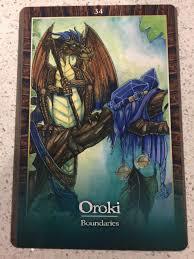 Oroki is asking you to let him guard your treasures - literal and metaforical, like knowledge or perhaps identity - while you for a time take the necessary steps for your development; move away from your home, your work or your treasures. They will there when you return. 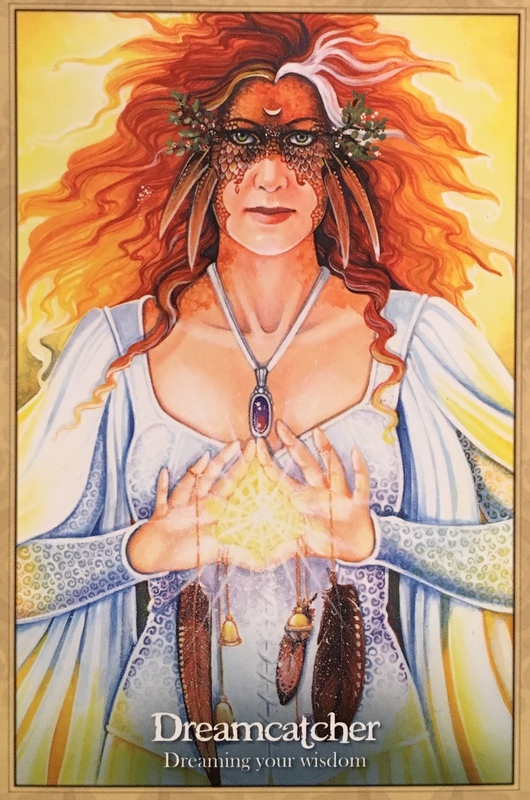 The message is to look over how you care for your valuables, check your insurance, your car maintenance, your energetic boundaries, physical boundaries, like perhaps front door? and take steps to protect your knowledge. If/when those practial arrangements are in order, look at your health and well-being, treasures of their own, and also - let go of worry. Oroki is a fierce protector of wealth, you are safe. 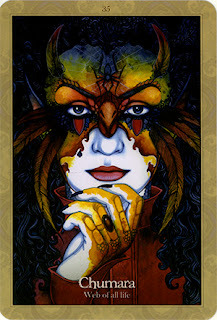 FUTURE/outcome: Dreamcatcher - dreaming your wisdom. The Dreamcatcher promises she is with you by your side at night when you dream, she will send you messages that you need, and she will if you allow it take with her what you no longer need, cleansing you from irritation and difficulty. She can help you shine a little brighter, and tell you the future. She asks to be let in. So, this is a promise of prophetic dreams if you allow it, once you have taken the other steps mentioned (beginning to reveal your true self and practicing boundaries/asking for protection). You can keep a dream journal, if you don't already and trust that what ever communication comes your way, you are safe and protected. "They are real messages, from real beings, and the Earth changes we speak of and your part in them are true prophecies". Oroki speaks: " I have always had a difficult role: as is yours at present. You, like I, have a choice: Do you stay where you are, and defend what is yours, or do you trust that I can take care of it for a time, for you, and move foreward into a new area? For here I am, willing and quite able to protect this treasure, and yet you will not move forward." "Take some time away from responsibilities at this moment and trust that all will be well. if you fear for your material well being, I am here to tell you that the nest egg you have created, the treasures in you hidden trove will be protected... but you must take the necessary steps. You must be able to move away from your home, your work, your bank account, your treasures, just for a moment, as to stay and stare at them will not satisfy you. Yes, they are beautiful... but you must trust that they will be here when you return... for I am guarding them. And while my guard is here for you, non shall slip by me!" About Oroki: [in short] He is vigilant and watchful, and he has your best interests at heart. [...] When Oroki comes forward in a reading, know that he will guard your belongings! Divinatory meanings: Correct security measures need to be in place, insurances [...] updated [...] take practical steps for self-defence, and energetic health and well-being. Guard your wisdom well, too, as the jewels Oroki protects can also be that of your wisdome, experiences and talents... do not give them away lightly. Working with Oroki: Care for your belongings, secure them [...]Defend what is yours by creating energetic boundaries, real physical boundaries and knowing that they are safe. [...]Once these are in place, allow yourself peace of mind and call on him to protect your treasures... he is vigilant and a very formidable guardian!" Dreamcatcher Speaks: “I am the Dragonfae being who comes in the night, who travels through the dimensions to the doorway of the worlds, I will stand while you sleep and send you messages that you can unravel in your waking hours. All that is no longer needed will come to me, if you allow it, and I will catch it in my web between my hands, lit up by the light that travels from the solar plexus of this Universe, the being you call Sun, but which I call Bel. This Bel shines through your day and at night I reflect that light into you, cleansing what is irritating and difficult for you, but keeping all that which you need to go forward. There is nothing to fear from the presence of we dream beings… I am yours, and in your dreams we will journey, we will explore, we will share and we will be happy together. I will help you reach your goals and if you believe, great blessings from Spirit will be yours. We are part of the same tribe and your blood is mine. This dreamcatcher is at your service. Working With Dreamcatcher: “Keep a dream journal; dimensional travel; communications between worlds, receiving messages without judging them; ensuring regular, healthful sleep; changing bedroom, clearing sleeping space, clearing space generally. Trusting that you are safe and protected while you sleep. Knowing that friends believe in your dreams: but that you must believe in them most fiercely of all. Allowing the ephemera to slip through fingers in the past: know that now the chances and dreams can be held. Looking at the elders’ teachings in your dreams.